Whether it’s Sunday morning pancakes or an afternoon brownie, you likely have a craving for something sweet a few times a week (at the very least). And while it may feel like your body or brain needs that sugary sweet rush, oftentimes, a naturally sweet treat is all you actually need to feel satisfied. Today we’re sharing five ways to get your sweet fix, the natural way. 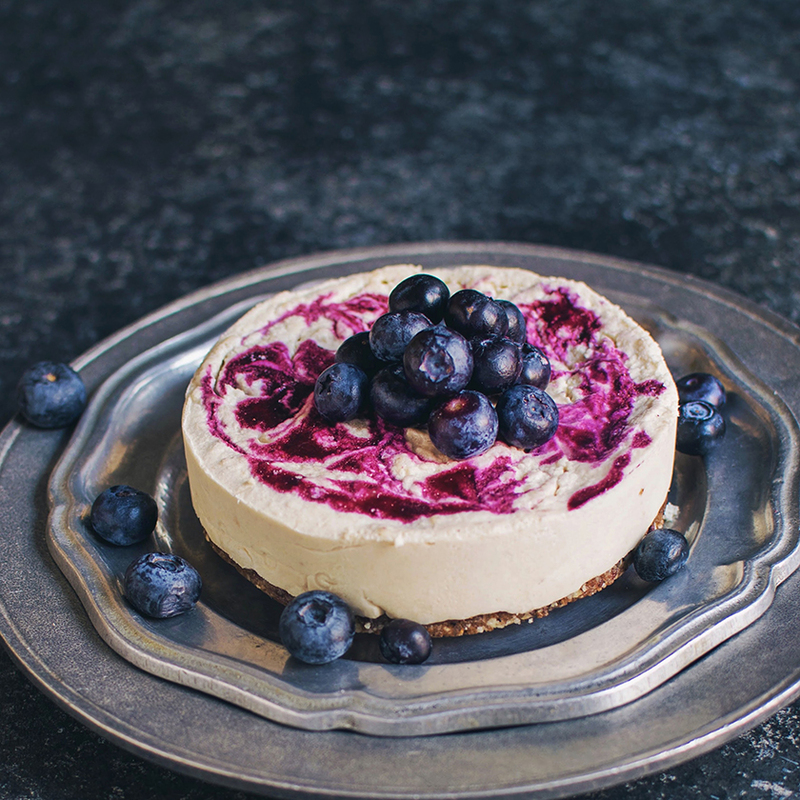 That way you can indulge your sweet tooth and get in some nutrients at the same time. The name of these tubers says it all: they’re sweet. And roasting sweet potatoes is the best way to draw out all of the vegetable’s sweetness. No need to add any sugar or maple syrup. Simply peel and cube the potatoes, toss them in olive oil (or avocado oil or coconut oil) and and season with salt, pepper and any other desired seasonings. We like to add cinnamon for a cozy sweet treat reminiscent of Thanksgiving. Roast the potatoes at a high temperature (400-450°F) for 30 minutes, flipping halfway through. You’ll be surprised by how sweet they taste. Or, steam the potatoes to make mashed sweet potatoes. Add some vegan butter and coconut milk for extra creaminess along with a few dashes of cinnamon and freshly grated nutmeg. And don’t forget to enjoy your sweet potatoes for breakfast. For a creamy treat that tastes like ice cream but is so much better for you, make a sweet potato smoothie. We like to add a cooked and mashed sweet potato, creamy coconut milk, a small banana, a few drops of vanilla extract and lots of cinnamon. If you’ve never eaten a soft Medjool date, you’re missing out on nature’s best candy. Seriously, dates are the grown-up version of a Milky Way. Popping with sweetness, dates offer countless ways to satisfy your sweet tooth. The best benefit? Even though dates contain a large amount of natural sugars, studies find that they do not significantly raise blood sugar levels and are considered a low glycemic index food. For a delicious dessert that’s ready in less than a minute, slice open dates, remove the pits and stuff them with almond butter. Dust with cinnamon and a sprinkle of sea salt. We promise you’ll love this treat! Dates are also perfect for making an easy vegan caramel sauce. For a two-minute caramel sauce, combine the following ingredients in a food processor or high-speed blender until smooth and creamy: 1 cup pitted Medjool dates, ½ cup liquid sweetener of choice; ¼ cup canned coconut milk; ¼ cup almond butter; 1 teaspoon vanilla extract, and a pinch of sea salt. Dates are also the star ingredient in raw vegan desserts, from bliss balls to cheesecakes. Kombucha is a fermented beverage made of black tea, sugar and bacteria. That last part might make you wary, but kombucha is incredibly delicious. And good for you, as its fermented properties aid in digestion and gut health.Plus, most of the sugar in a typical kombucha recipe is included for the bacteria culture to consume, not for you to consume. At the end of fermentation, only a very small amount of sugar is left, approximately 2-3 grams per 8 ounces. In contrast, an 8-ounce glass of apple juice has 28 grams of sugar, and even a glass of natural carrot juice has 13 grams of sugar. Kombucha has a bit of fizzy texture and slightly sweet vinegary taste. It’s the perfect replacement for sodas and other sugary beverages. If you want to jazz it up, make a mocktail using kombucha. Combine kombucha, sparkling water, ice, lime juice, freshly grated ginger and berries for a sparkly, refreshing beverage. Unless you’re living under a rock, you’ve heard of nice cream by now. “Nice cream,” is a nicer version of ice cream, one that’s made with frozen bananas. Sounds too good to be true, but frozen bananas armed with a powerful food processor make for a creamy, thick and indulgent ice cream substitute. And unlike the stuff you’ll find in stores, there are no additives or hard-to-pronounce ingredients. To make nice cream at home, peel and slice bananas. Store in a ziploc bag and lay them flat in your freezer to firm up. Once frozen, simply add to a food processor or high-speed blender and process until completely smooth and puréed. For a chocolate version, add unsweetened cocoa powder, a tiny splash of vanilla extract and a pinch of sea salt along with the bananas. Or simply add frozen bananas to your morning smoothie if you need a sweet boost in the a.m. It’ll add sweetness and give your smoothie a thick, luscious texture. Don’t have a food processor or high-speed blender? Not to worry because frozen bananas are delicious even when they’re not puréed. Enjoy slices of frozen banana dipped in cinnamon and cocoa powder or melted dark chocolate for an easy dessert. We also like adding bananas to oatmeal and overnight oats to add sweetness without adding any sugar. Have you tried our Banana Bread Overnight Oats yet? So good. Our Banana Bread Overnight Oats served with peanut butter, a cacao smoothie and fruit. 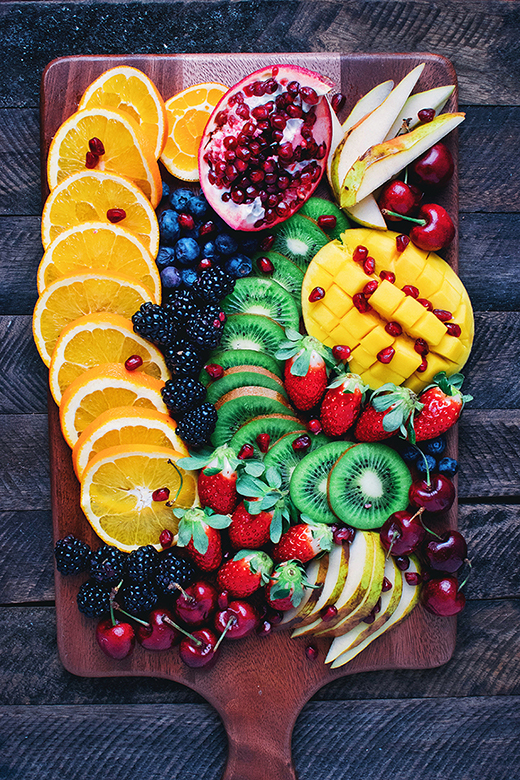 Our final recommendation for naturally sweet food is a bit vague, but it boils down to this simple point: cooking ripe fruit can enhance its sweetness and satisfy your sweet tooth in the most delicious way. Be sure to choose ripe fruit, as it will be at peak sweetness and therefore not require any added sugar. If you’re interested in poaching, pears, apples and stone fruits like nectarines and peaches work best, but you can also try grapes, mangos or figs. Cut the fruit into uniformly sized pieces and use just enough liquid to cover the fruit. While wine is a commonly used poaching liquid, you can also try coconut milk, apple cider or tea. And don’t forget additional flavorings, like citrus peel, star anise, fresh mint, cardamom pods and/or cinnamon. After poaching, let the fruit rest in the liquid for 20 minutes for maximal flavor absorption. When it’s warm out, there’s nothing sweeter than grilled fruit. Just be sure not to overcook the fruit, or you’ll end up with a mushy mess. Peaches, bananas, pineapple and cantaloupe are some of our favorite fruits to grill, though any fruit that has some body and structure should work. So the next time you get a craving for something sweet, put down the candy bar and try one of these naturally sweet treats!